Sharon graduated from Otago University, New Zealand in 1989 and completed her radiological training in Auckland in 1998. After additional specialist training in London in 1999 she commenced fellowship training in abdominal imaging at UCLA, USA in 2000/2001 and at St Pauls Hospital, Vancouver, Canada in 2002. 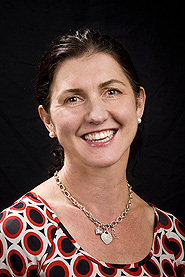 She was Consultant Radiologist at Wellington Hospital, New Zealand in early 2003 and held a joint appointment as Consultant Radiologist at Duke University Medical Centre and Durham Veteran’s Administration Medical Centre, in North Carolina in 2003/2004 before moving with her family to Western Australia in 2004. She joined Perth Radiological Clinic in that same year, becoming a Partner in 2005. She is currently the Managing Partner in charge of Perth Radiological Clinic’s Bentley Hospital branch.